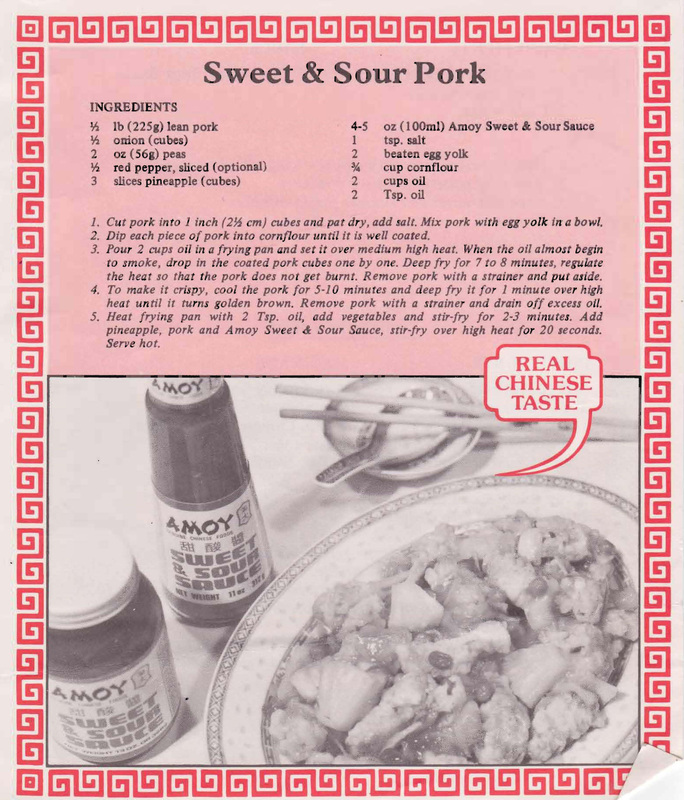 This “Real Chinese Taste” Sweet and Sour Pork was a free recipe handed out by Amoy Genuine Chinese Food sometime in the 70s. No mention is made of cooking it in a wok as I doubt that any non-Asian cooks had one or in fact even knew what one was. Guess Amoy thought they’d better just stick with a frying pan. When I was growing up our backyard in summer always had rows of tomato plants covered with fruit. 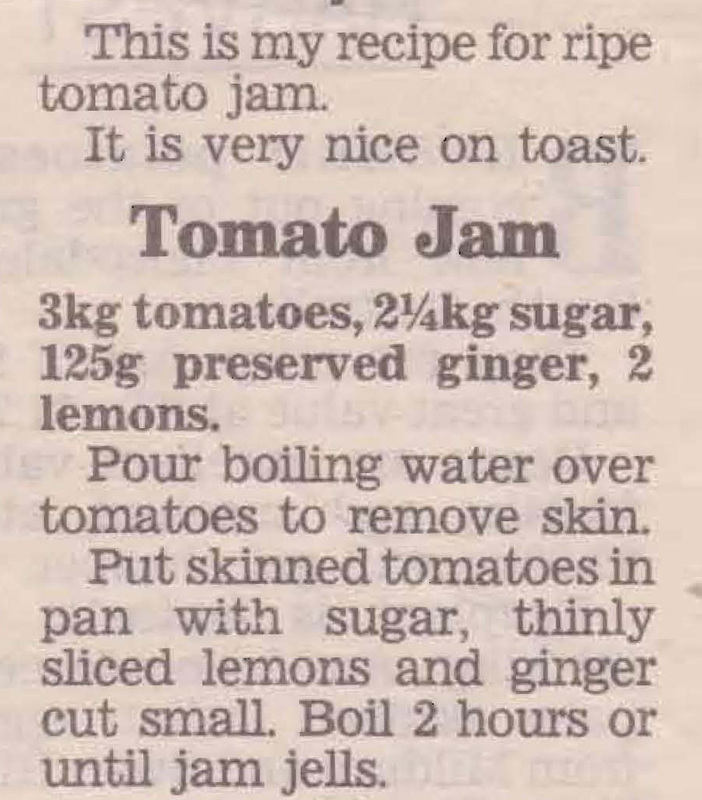 Sadly I don’t think that’s the case in backyards any more, but if you do happen to have an abundance of tomatoes you might like to try making either of these two tomato jam recipes. Ham is one of the things that has changed enormously on our table and in our cooking over the years. In Australia it wasn’t served very often. At Christmas the big treat was chicken, not turkey or ham which were very American and not available as they are today. The only way we saw large pieces of ham at our house was from a tin – the best brand being Mayfair. 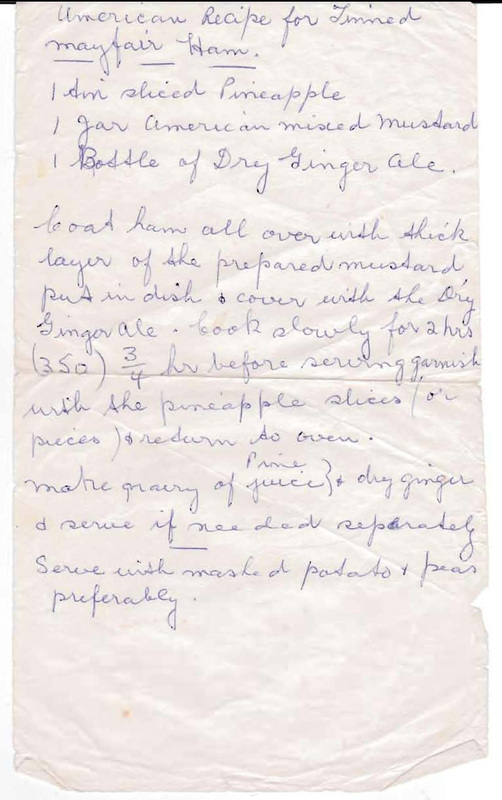 This old recipe at first glance sounds a bit strange, but the combination of ham, mustard, ginger and pineapple could taste quite good, I think I’d top it with a bit of cheese though. Might be worth retrying with a better quality piece of ham? 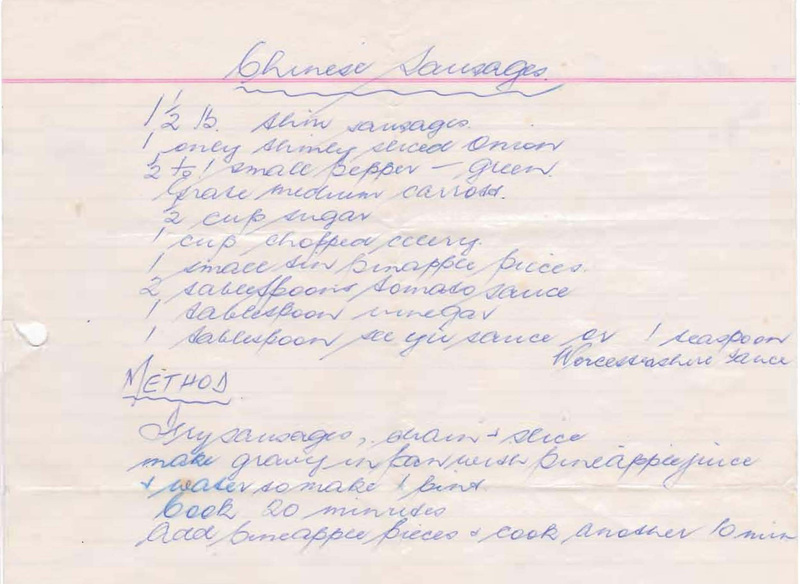 This recipe is in my brother’s lovely flowing handwriting, which means that my sister-in-law gave to Mum back in the 60s. 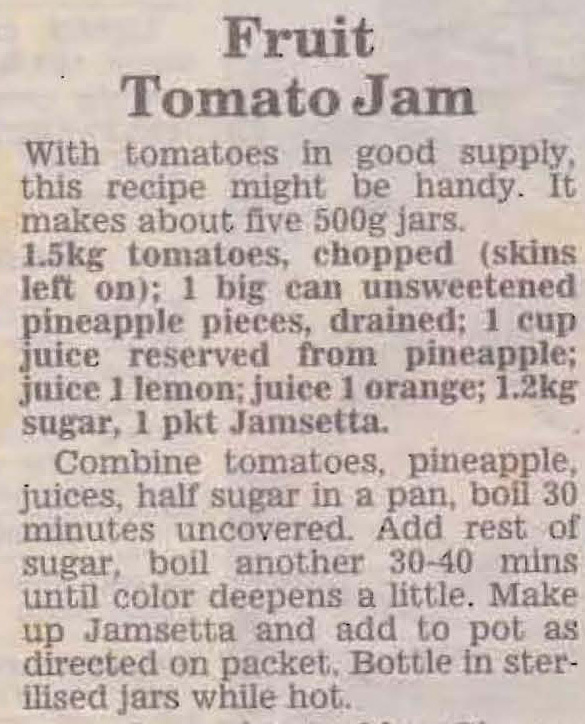 Mum used to make it for casserole style entertaining and it tasted quite good, although personally I was never that fond of the tinned pineapple, you can use fresh pineapple instead if you have the same problem. You need around 750g of sausages. For quite a few years this was one of Mum’s favourite dessert recipes, probably because Dad liked it on his nightly bowl of ice cream. Everytime I looked in their fridge there seemed to be a jar there marinating. I think with the addition of a few other fruits it could still be good today.